Friends, we’re sharing these top 30 love quotes with pictures. 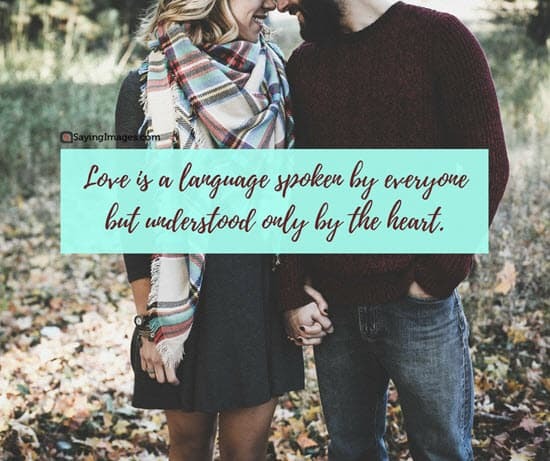 These are inspirational quotes about love which can inspire you in your relationship, and cute love quotes for him or her. Saying Images collected these amazing love quotations from all over the world. We hope these cute, romantic quotation with pictures guide you in your relationships! Love has plenty of dimensions. It is the bond that you can feel for anyone regardless of their age. Love is also a very positive emotion which becomes even stronger when you tell a person how much you love them. With love quotes, you can express your love for others in a variety of ways. The quotes constitute simple words, which you can easily remember and recite to your beloved. You can also send these quotes as messages or as photographs and images on Facebook, Twitter or Pinterest. Apart from loving others, these quotes also advise loving oneself. Hence, if you have been too critical of yourself, you would find comfort by reading quotes about love. Irrespective of your age, you will find these quotes interesting and highly enlightening. The message they give is universal and eternally true. There could be quotes with which you may not agree but there are still many with which you will be able to connect instantly. The sensation you feel when you are in love and the excitement you experience when you see your partner are all expressed perfectly in these quotes. The language is beautiful and some of them even sound like a poem. That is why you should not hesitate to share your quotes with your beloved. It would not only help you express your love, but also let your partner feel the emotion more deeply. Love, when demonstrated by way of written words and photographs, becomes much more powerful and with love quotes, you can surely make your love life more blissful. Everyone says that loves hurts, but that’s not true. Loneliness hurts. Rejection hurts. Losing someone hurts. Everyone confuses these things with love but in reality, love is the only thing in this world that covers up all the pain and makes us feel wonderful again. 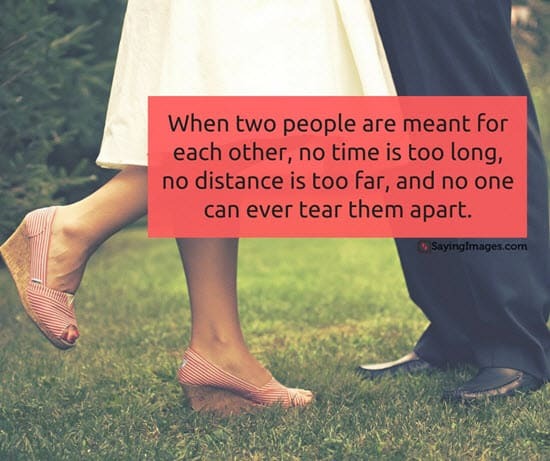 When two people are meant for each other, no time is too long, no distance is too far, and no one can ever tear them apart. In true love, there is no mountain too high to climb. No river too wide to cross. And most of all, in true love, there is no end. Beginnings are usually scary and endings are usually sad, but it’s everything in between that makes it all worth living. What is love? In math: an equation; in history: a war; in chemistry: a reaction; in art: a heart; in me: YOU. It takes a minute to have a crush on someone, an hour to like someone, and a day to love someone, but it takes a lifetime to forget someone. According to Greek mythology, humans were originally created with 4 arms, 4 legs and a head with 2 faces. Fearing their power, Zeus split them into two separate parts, condemning them to spend their lives in search of their other halves. It’s not hard to find someone who tells you they love you. It’s hard to find someone who actually means it. If I could choose between loving you and breathing, I would use my last breath to say I love you. I never loved you any more than I do right this second. And I’ll never love you any less than I do right this second. Someday, someone will walk into your life and makes you realize why it never worked out with anyone else. Falling in love is like jumping off a really tall building, your brain tells you it is not a good idea, but your heart tells you, you can fly. If you like this page, share this to your beloved friends. In case, you still have not found the love of your life, for you, these quotes hold a variety of messages. You will also learn what true love feels like. Although universally lovers feel the same way, each quote defines love differently. It is so because the quotes have been said or written by great personalities hailing from different countries, cultures, and eras. Consequently, the quotes are versatile and enjoyable. By reading them, you may even discover a new aspect of love and understand its meaning more deeply. awesome… quotes.. i love it.. This quotes are very inspiring & touching. related to every person that had an experience in love. Very inspiring. I like,no i really love this! wow……this is great,awesome……soo amazing….. I really love this quotes ….they ar soo inspiring ….it touches my heart……GOOD JOB..#KEEP IT UP#……. 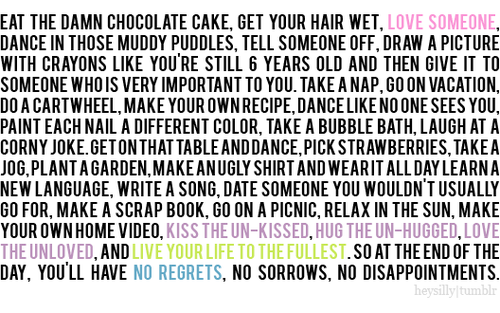 I love this site whit there lovely quotes.